From left to right, the mill is made of the boiler house, mill building and warehouse. Stanislaus flour was popular in the area. See my post of August 6, 2012 for a picture of one of their advertising signs. Two prototype businesses in Oakdale were A. Faire who was a coal dealer and the Stanislaus Milling and Power Company. In reality, Faire was at the south end of Oakdale while Stanislaus was at the north end. To fit everything in on the model, I made some compromises and moved the industries around. 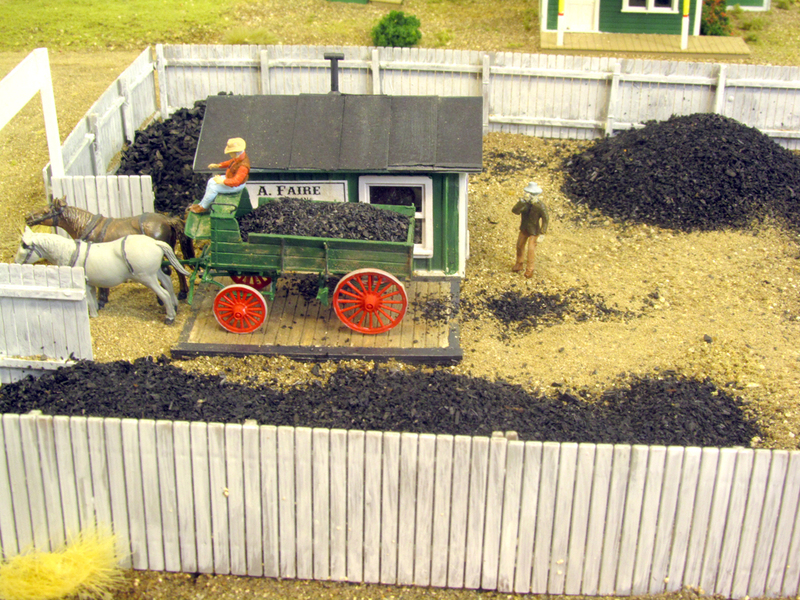 The Faire coal yard is across C Street from the Stanislaus Mill. 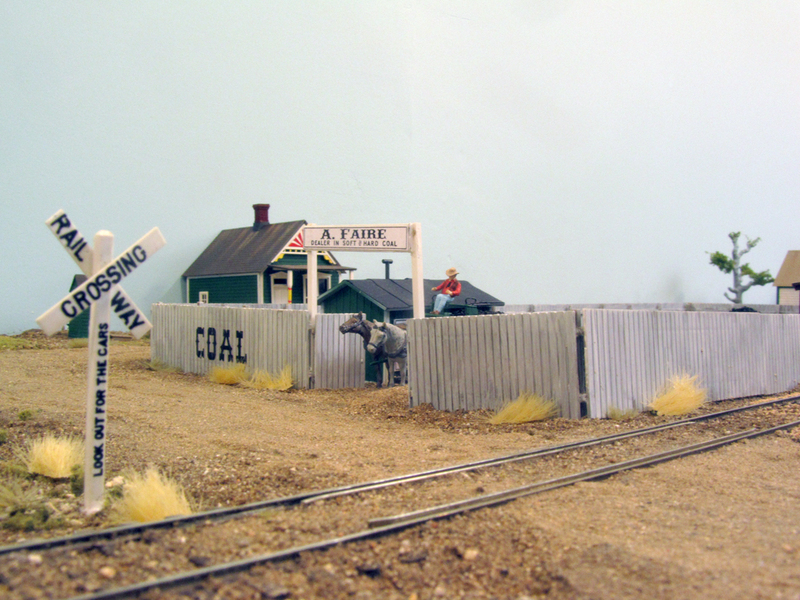 I did not have any information on Faire beyond knowing of his existence so his coal yard is completely freelanced based on other photos I had of nineteenth century coal yards. On the other hand, I had two photos of Stanislaus, one from each side. Of course, the higher resolution shot was on the side that faced away from the aisle. With the help of insurance maps, though, I was able to build a full-size model of the company and fit it in on the siding. The Stanislaus building is entirely constructed of styrene except for the roof which is Campbell's corrugated aluminum. This was correct according to the photos and insurance map. Although corrugated iron was just beginning to be widely used, it had been around in California since the 1870s when the Central Pacific started making it in their Sacramento shops. Building the structure in three pieces (warehouse, mill and boiler room) made it a bit easier to put together and certainly to carry around. 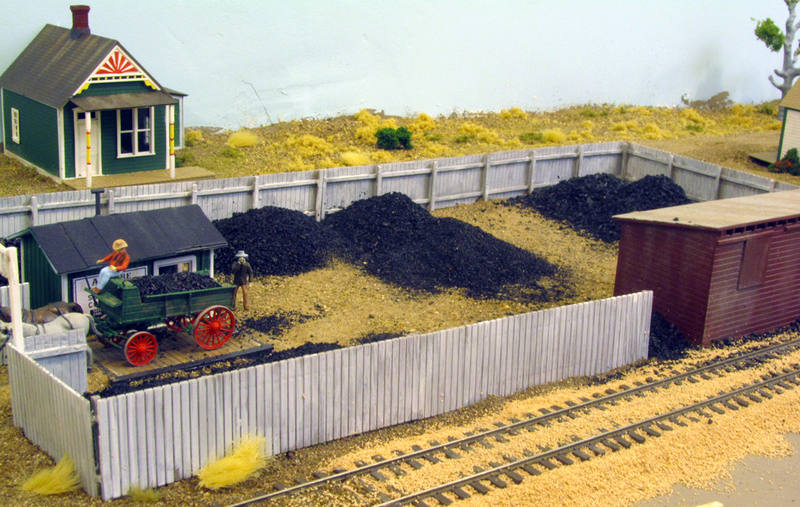 The coal yard consists of piles of various grades of coal, a small coal shed and an office adjacent to the scale. Faire's coal yard did not have much to do. I had a Walthers stock yard shelter left over from the stock yard project. 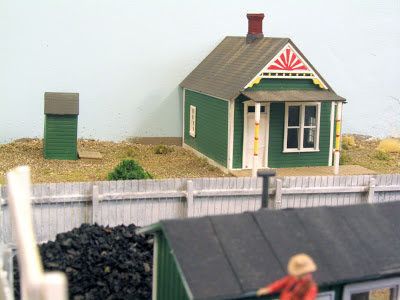 I put a fourth wall on the building along with some loading doors and it looked just like some coal sheds I had photographed in Massachusetts. 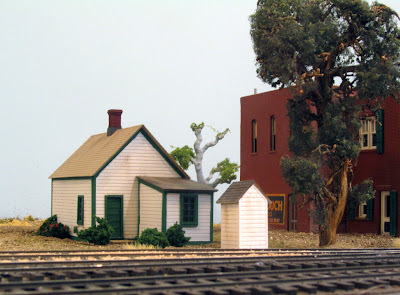 Some Walthers fencing around the property and an office building made by someone I have forgotten completed the scene or so I thought. I looked closer at one of my photos and saw a small sign on the office noting the manufacturer of the scale. is posted next to the office door. Of course! 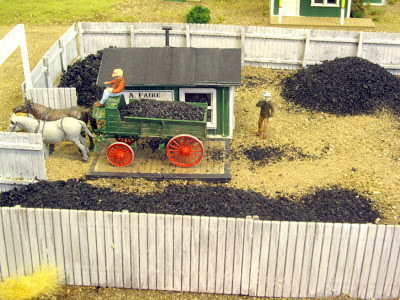 Coal was sold by the ton and there had to be some means of weighing the wagons before and after loading. Now, what does a nineteenth century wagon scale look like? Some internet research yielded several photos including ads with dimensions. I opted for a Howe Scale measuring 8x14 feet and built that up with some scribed wood and styrene. The actual scale mechanism would be in the office so it is not seen. I found out that a great number of them were outside in waterproof boxes which would make a great model for the future. When I started scenicking the scene, it became obvious that more structures, residential this time, were needed. The north end of Oakdale was sparsely settled with few dwellings so I am copying that on the model. It also saves on structure building time. The two smaller homes were built from Grandt Line kits and the larger building was also kit-built but I don't recall whose. It was constructed quite a while ago and was just waiting for a place to be sited. mill so it's an easy commute to work. There's one more signature structure to be done: the Mouton Soda Company. There was actually soda water and soft drinks made here and the building was rail-served. 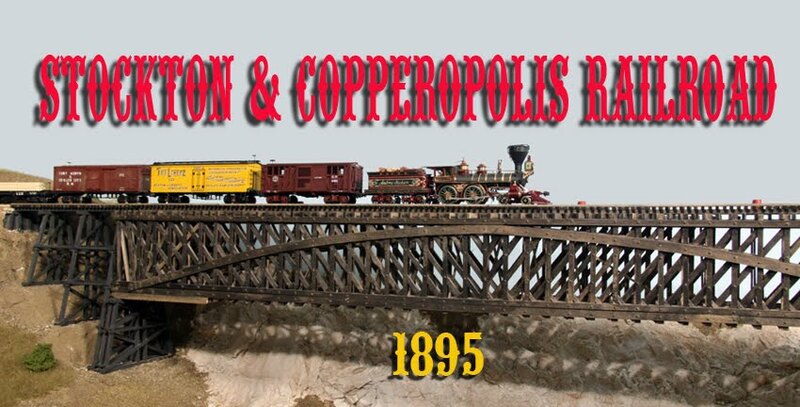 A journal relating the design and construction of Don Ball's HO Scale Stockton & Copperopolis Railroad. The line is set in the central valley and foothills of 1895 California.